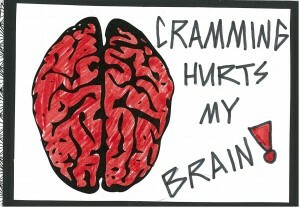 The first few weeks of semester can be overwhelming. Assignment deadlines are coming up fast. Unit readings are piling up. While these things might be happening, taking a break, even for a couple of days, can make a positive difference to your productivity and outlook. The mid-semester break is an opportune time to decompress and process what you’ve learned so far. By taking a step away from study, you can return with fresh eyes and motivation that will help you through the rest of the semester. A break doesn’t need to cause stress. A break that is planned well can help ensure you don’t fall behind. Prioritise what you need to have completed before the mid-semester break. Is it an assignment? Some research? An assessed activity or quiz? There might be small, niggly things that you could complete in little time. If there are big things, break them up into bite-sized chunks. This will help you focus and work through them. List 3-5 next steps for yourself for each unit. Save time reviewing your progress and figuring out where you left off. Do the thinking before you take a break. What are the very next steps you need to take to progress an assignment, revision, tutorial activity, etc? Keep these steps small so you can pick up momentum more easily. Review my assignment task and identify key requirements. Review my reading notes and mind map key concepts and ideas. Identify the resources I need to search. 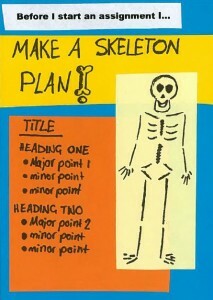 Formulate a plan. By being more specific about what you need to do next, you can know exactly what you need to get on with when you return from your 303study break. Catching up on readings? Be strategic about it! Readings overload? 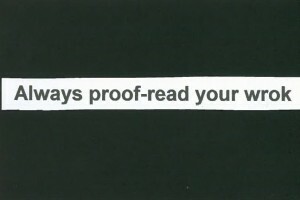 You will rarely need to read every single word. 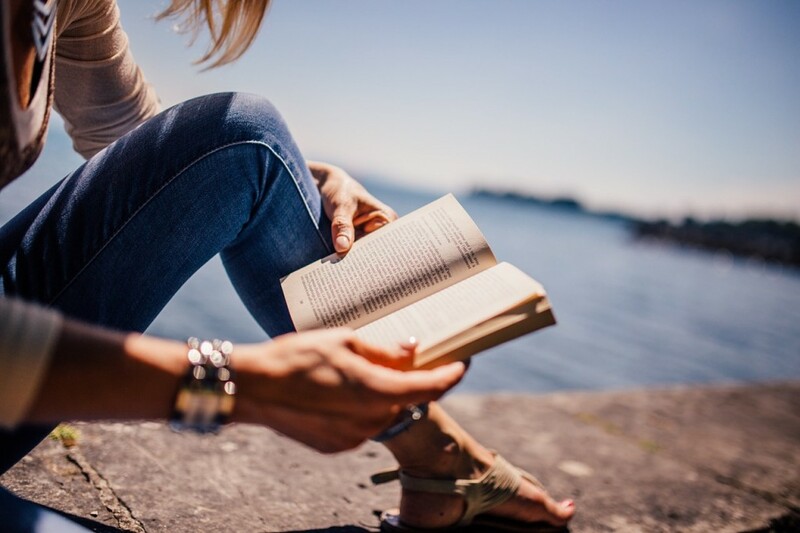 Before you start to read, understand the purpose of why you’re reading something. This will determine the strategy you take. 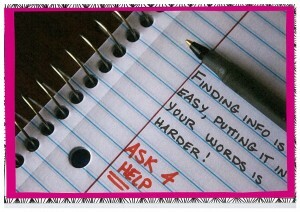 Are you looking to deepen your understanding? Looking for clarification? Answer a specific question? For more about how to read more strategically, check out the study skills workshop ‘Read it, note it, recall it’ available on Blackboard. Once logged into Blackboard, either go to the community site directly and click ‘Enrol’, or use ‘Community Finder’ and search with the name ‘Library Back to Study’. You’ll find the workshop materials under ‘Resources’. Take a picnic blanket and a book (or your unit readings) and head outside. One of my favourite spots is by the water at Sandgate, easily reached by the Shorncliffe train line. Fish n chips, anyone? Go explore a part of Brisbane you’ve never been before. 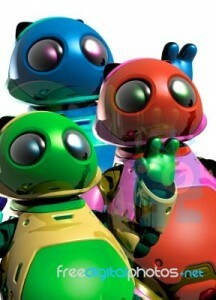 Chill out in the Games Lab at the Kelvin Grove Library. Consoles and controllers can be borrowed from the Library Helpdesk on Level 2. Did you know there are free fitness classes at Southbank? Why not take a friend? 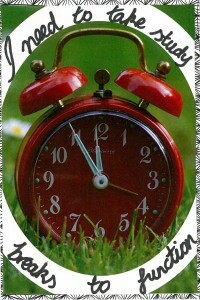 What do you do to take time out from study? Study Hack – Take a break! It’s Friday and our week of Study Hacks has come to an end, we hope you’ve picked up some tips to implement in your work for the rest of semester (and the rest of your studies). 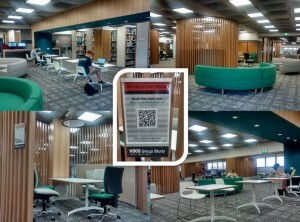 If you are interested in seeing some more student-made study hacks take a look at QUT Library’s Pinterest board. You will be able to find all the information discussed in previous blog posts by visiting the Students tab on the library homepage. Why not take a couple of minutes to look around and see what other study tips we have to offer? And if it all gets a little too much… don’t forget Library staff are always here to help. Just a reminder to check our opening hours if you plan to study in one of our branches over the Easter long weekend and during mid-semester break. 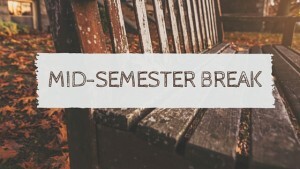 Some more tips on how to take a break during mid-semester will be coming soon so keep an eye out! Have you even sat down and Googled yourself just to see what would come up? Have you ever thought about what your online presence is? Take a look at our social media skills page to read up on how to Create a better online you. Your future self (and employers) will thank you for it! 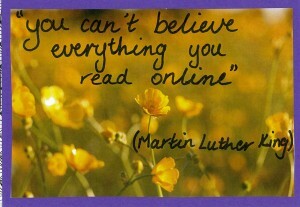 So much of our lives, including studying, can and is being done online. We have universities course groups on Facebook, industry professionals to meet and follow on Twitter, Instgram and Flickr, Google+ community pages and blogs to follow and gain insight on particular topics. 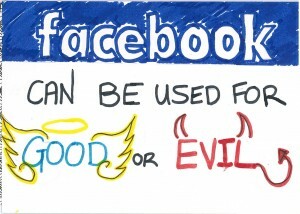 This is all great, however, it is worth thinking about the darker side of online technology. People are more available but also more hidden at the same time. How do you really know who you are talking to? So make sure you are getting the best out of your online presence and use it wisely. Create a linked in profile so that professionals within your industry can see your achievements. Ask questions to your tutor if they have created a Facebook group for your class. 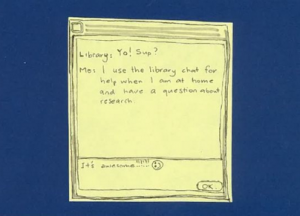 You can also speak directly to QUT Library staff online too through our Chat to a Librarian service. 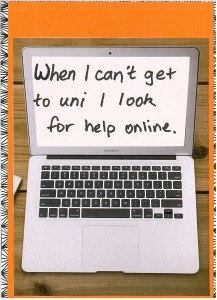 So even if you can’t get in to uni study help is still available! QUT Library is lucky enough to be hosting the Our Dreaming: Animating Country exhibition. It is currently on display at Kelvin Grove Library on Level 4, within the Curriculum Collection, until the end of March. 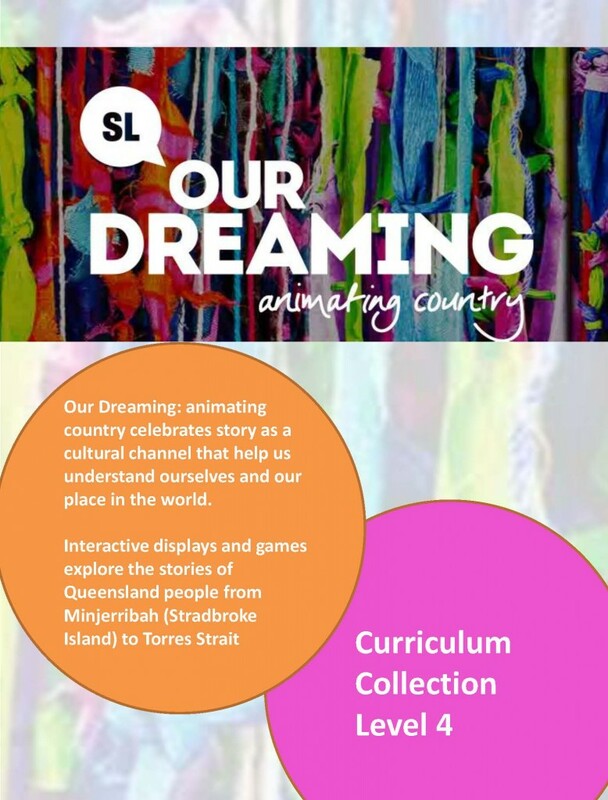 Our Dreaming: Animating country allows you to experience the colourful culture and history of Queensland’s Aboriginal and Torres Strait communities. It focuses on the cultural medium of storytelling which has been used for generations to develop a multitude of enduring connections from past to present, people to place and to each other. As their traditional storytelling is transferred to modern communication it is preserved for future generations so that they can. Our Dreaming retells Queensland people’s stories through interactive displays and games which you can explore to your heart’s delight! This display helps you to understand yourself and your place in the world through the cultural channel of story. So make sure you pop into see it at Kelvin Grove Library before the end of March! New study space, Level 5, Gardens Point Library. Get to the library early! – No matter what campus you are at, if you want to guarantee yourself a study space the best thing to do is come early so check our opening hours. Bring your own laptop – There are various power outlets for use around the library for you to charge you device, just make sure your cords will not trip somebody over. Remember the silent zones – The top two levels of the Kelvin Grove and Gardens Point library are silent study areas, the second floor of the Law library is a silent study area, and Caboolture library has individual study carrels. Researchers’ Center – If you are a postgraduate student who fits certain criteria you may be able to request swipe access to the researchers’ center. Make a new friend – If someone is using a large table don’t be afraid to ask them to share. Get collaborative – contrary to popular belief, librarians do allow students to talk in the library, just be mindful of those around you and make sure you are not in a silent study zone. Book a study room – Make your life easier by planning ahead and booking a study room. Watch the screens! You’ll notice the digital screens near the entrance of our library branches can let you know where available computers are. Ask us! Don’t forget the librarians are here to help you and can suggest good places on campus for you to study. Are you a graphic novel aficionado? The folks over at Kelvin Grove Library, in collaboration with Madman and Zombster, have made a fabulous display on level 5. Kelvin Grove library is home to our graphic novel collection. You can search for graphic novels or books about graphic novels around the call number 741.5941, which are found on level 4. 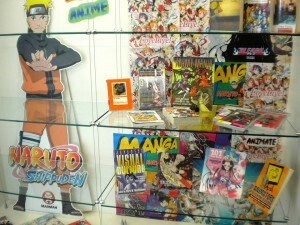 Graphic novel display, level 5, Kelvin Grove Library. V for vendetta/ Allan Moore, David Lloyd. Watchmen/ Alan Moore, Davie Gibbons, John Higgins.